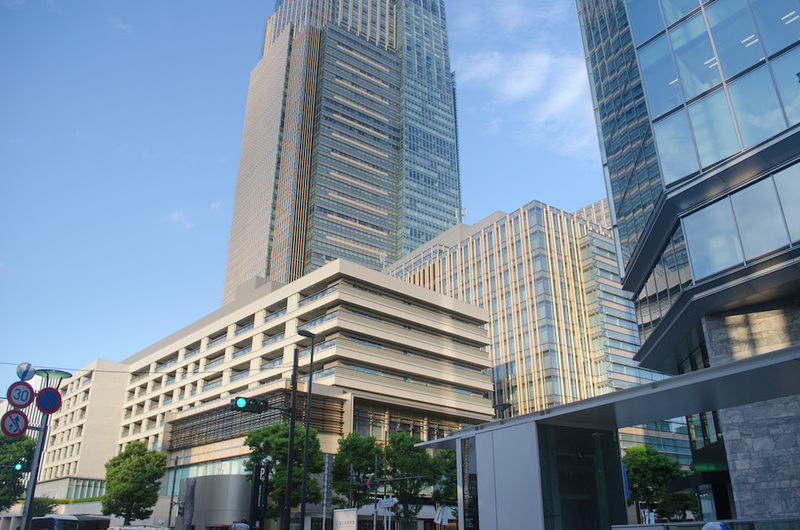 While Japan isn’t a conservative country, it is a more dressed-up country. Deeply rooted in Japanese culture is an idea of outward presentation, so people make themselves presentable in public. This means you won’t find people walking around in flip flops or athleisure wear. Even jean cutoffs are not very popular. Avoid these faux pas and stick to breathable fabrics, like cotton and linen, in flattering cuts for a comfortable and fashionable summer in Japan. Sunscreen should be essential in summer regardless of where you are going, and Japan is no different. The issue is that due to the heat and humidity, sunscreen will melt off more quickly. You can combat this by using a water-resistant sunscreen. Personally, I prefer Japanese sunscreens for their consistency and efficacy, however, they do tend to cost more than many of their Western counterparts. My go-to is Shiseido’s Anessa, but choose whatever sunscreen you’ll actually apply every day. Summertime in the city is brutal. But in Okinawa? Perfection. Envision turquoise seas, white sandy (and clean!) beaches, and loads of tropical fish. With waters like South East Asia, snorkeling and scuba diving are a must in the summer. You can rent gear, but keep in mind it’s usually more expensive than other destinations and you’ll have to book early during high season. If you have the space, pack your favorite diving gear. You can find some great recommendations on Dive.in Magazine. Here are their top picks for dive computers. I don’t mean for the beach. Most men, women, and children in Japan carry a small towel in the summer to wipe any perspiration off your face or neck. Also note, it’s quite common to see people use them in public, so don’t feel frightened to use it while waiting on the train platform. Likewise, if you’re taking a day trip to go hiking, bring a slightly longer towel; you can drape it around your neck to keep you dry. Plus, these towels are also multifunctional: you can use them to dry your hands after using a public restroom! An umbrella is great for the summer. During the rainy season, it keeps you dry. Then, once the rain stops, it can be used as a parasol. Yes, you’ll spot many women using a parasol to protect their skin from the sun, though not the traditional bamboo and paper ones. Most look the same as standard umbrellas. Pack an umbrella and you’ll be prepared, rain or shine. Want more Japan tips? Sign up for the newsletter! Probably the most concise and useful list I’ve seen today! Love the tips and how straigthforward they are! And some very good to know’s in there, thank you! It’s good to see a post covering the essentials, also until now – I hadn’t realised Japan got so humid in the summer. All the fumes make sense with the high skyscrapers when you’re in the major cities but you don’t think much further than that. I’d love to visit sometime – the fashion is something that’s always appealed to me. Yea you don’t realize it, but most of Japan has a humid subtropical climate. The southernmost islands are tropical, and the northern island of Hokkaido has a humid continental climate. Japan is one of my favourite places to visit! This list was put together so nicely and covers pretty much all the essentials that you need to bring. I’ve been caught in the rain in Tokyo before. Thankfully my Airbnb host was prepared and lent us some, but if the future I would definitely bring one! These are great tips, thanks for sharing! Fortunately, you can also find umbrellas at every convenience store for about JPY500-1000 yen! What a great idea bringing a mini towel, I would never have thought of that, especially not knowing that it is such a common thing to carry out in Japan. Thanks for the tips! Great tips! 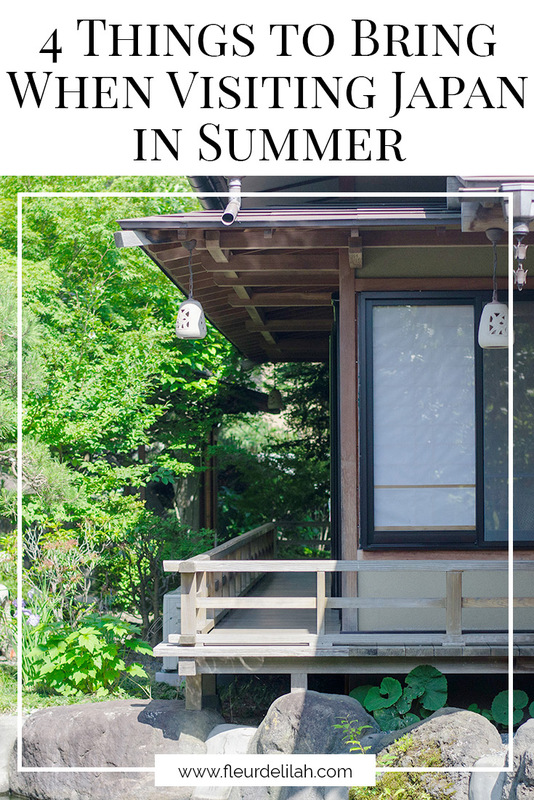 I have avoided summer in Japan because of how brutal I heard it is but will follow these tips if I ever end up there in the summer! I definitely understand that sentiment. Many people would rather come when the weather is more mild and when there’s a possibility to see sakura. Straight to the point! Love it. I had never considered bringing a small towel on holiday with me! I never thought about it either until moving here! Now I bring one everywhere. It’s so true about humidity making everything hotter. I grew up in Houston so I’m familiar on how to deal with that, Thanks for the extra tips! Good tips! I’m not a fan of humidity, so I’d probably go in the winter instead!